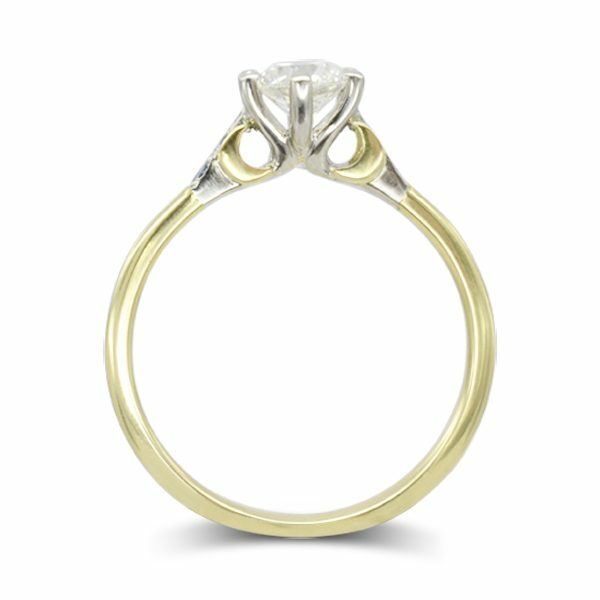 The crescent moon engagement ring: Every relationship has its own unique story. 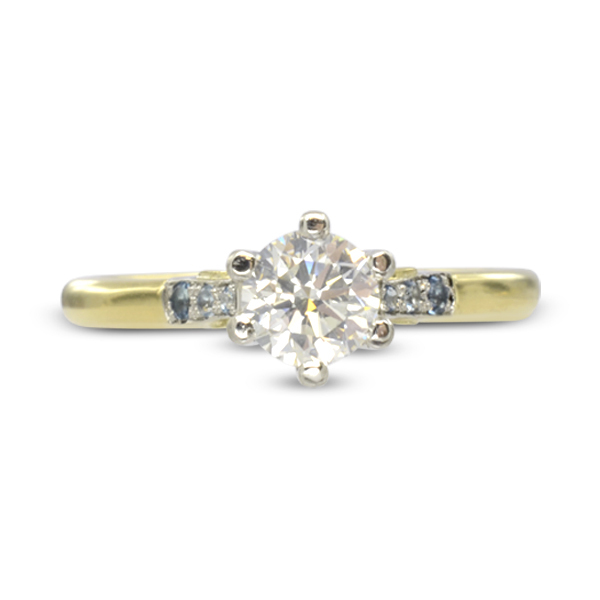 When it’s time to choose an engagement ring why not incorporate something of what you consider special and unique between you in it’s design? 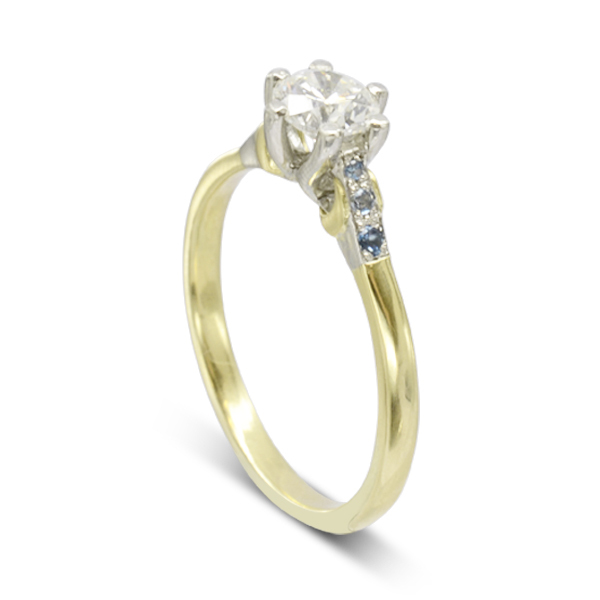 This lovey six claw platinum and 18ct yellow gold engagement ring is a perfect example. Set with a half carat diamond with pale blue aquamarines set in the platinum shoulders you might just notice that a pair of 18ct yellow gold crescent moons are supporting them either side of the the main stone. Every ring carries a story. Only the recipient of this ring and her partner know the significance. 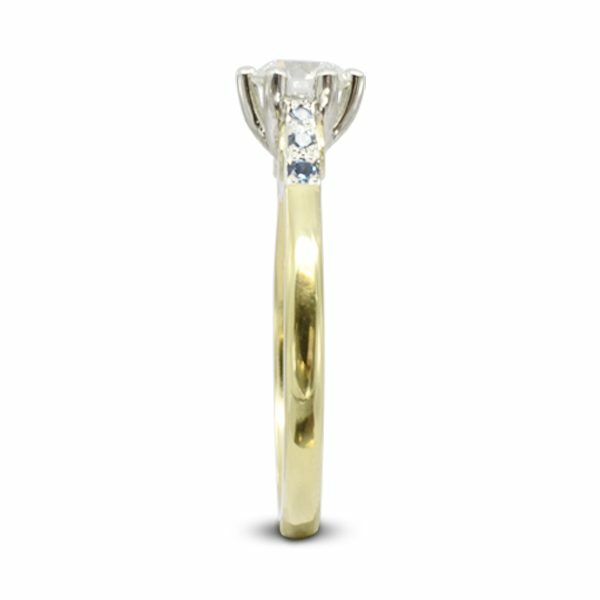 Why not call our designer today to discuss your special ring?